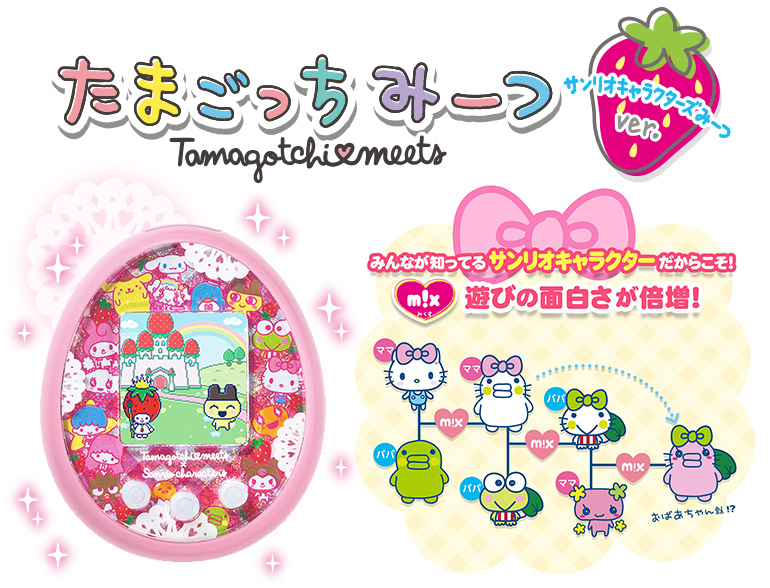 Today Bandai officially announce the news of Tamagotchi Meets Sanrio. 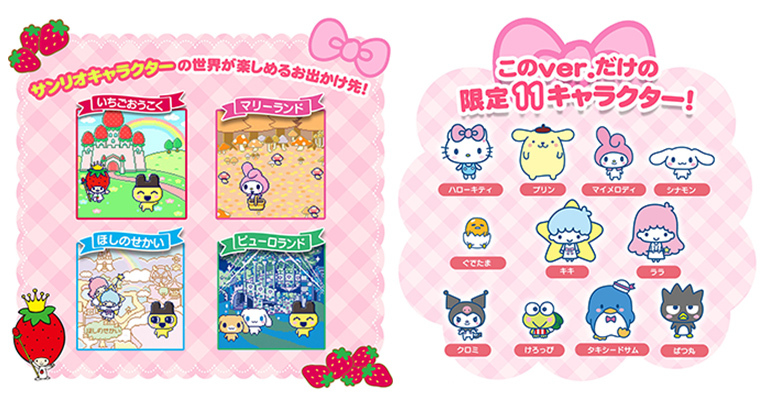 It will have 11 mixable characters from Sanrio; Gudetama, Cinnamoroll, Pompom Purin, Hello Kitty, My Melody, Kiki, Lala, Tuxedo Sam, Badtz Maru, Keroppi, and Kuromi. 4 locations; Ichigo Kingdom, Maryland, Star World, and Puroland.